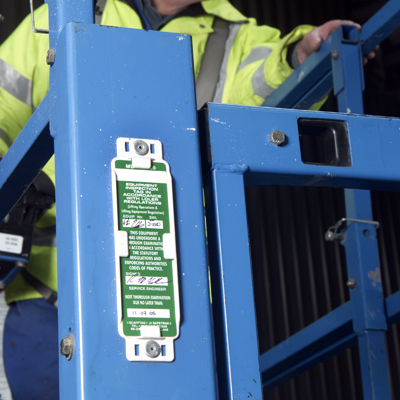 Utilise the LOLER tag inspection system for all equipment inspections covered under the UK Lifting Operations Regulations (LOLER) 1998 such as overhead cranes, lifting tables and loading platforms. 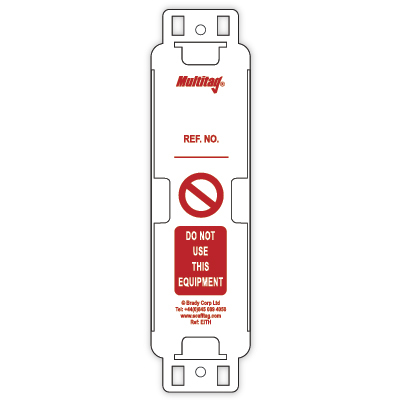 Improve workplace safety and communication with LOLER inspection tags, holders and inserts. 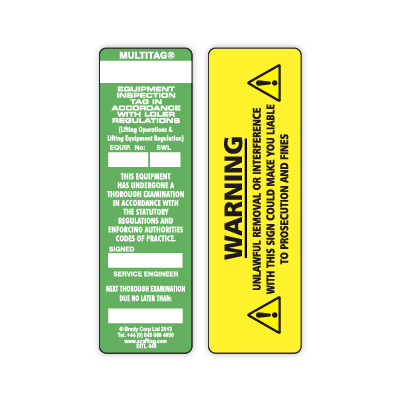 Need help selecting LOLER equipment tags? See our Access Equipment Inspection Guide.